Welcome to The Other Side of Bipolar! Revealing your strengths to move beyond the diagnosis. What if being bipolar or mentally ill is a sign that you have intelligences that others do not understand? What is The Other Side of Bipolar? Through this new perspective, you can be empowered to go beyond any diagnosis or label you have been given and start to explore the uniqueness and beauty of who you truly are. Embedded throughout this poetic story are examples of tools and techniques you can apply immediately to begin to create a sense of peace and possibility in your life. Lauren’s story will captivate you and show you a path to finding peace and joy with being different, and ultimately how to utilize your difference to shift from surviving in this world to thriving and creating a satisfying life for yourself. You don’t need to live a small, safe existence; you can go after your dreams, challenge yourself, and create a life far beyond what you may have thought is possible..
"The Other Side of Bipolar sits apart from other autobiographical surveys of psychological struggles, offering readers the rare opportunity to explore and utilize many of the gifts formerly identified as disabilities. Any who have faced such a diagnosis will find this an inspiring, engrossing saga which offers hope, revelation, and much food for thought as it follows a journey that takes the identification of 'bipolar' and turns it upside down." Lauren Polly, MEd., CF, RYT, is a true seeker. Her contagious laugh and zeal for life influences everyone who crosses her path. Lauren is a catalyst for people who are living their life on autopilot. She helps others shift from surviving to thriving through dynamic healing, self-empowerment, and life-changing tools in her transformational speaking engagements, workshops and coaching sessions. 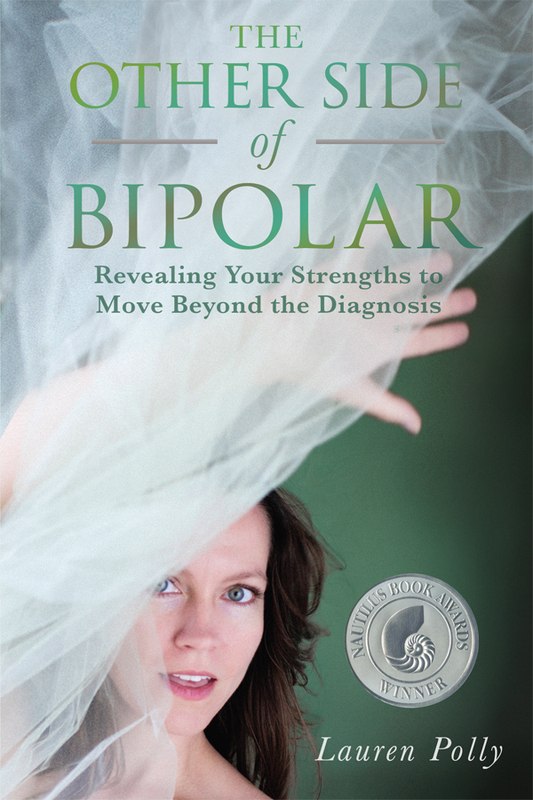 Award-winning author of the international best-seller, The Other Side of Bipolar, Lauren shares her own personal journey to help others find the life they desire without limitations. Her book has been awarded the 2016 Silver Nautilus Book Award, 2016 Finalist in the Best Book Awards and is currently nominated for the Independent Publisher’s Book Award. Lauren is a Certified Access Consciousness® Facilitator, an ASHA Certified Medical Speech-Language Pathologist, and a registered Yoga Instructor.